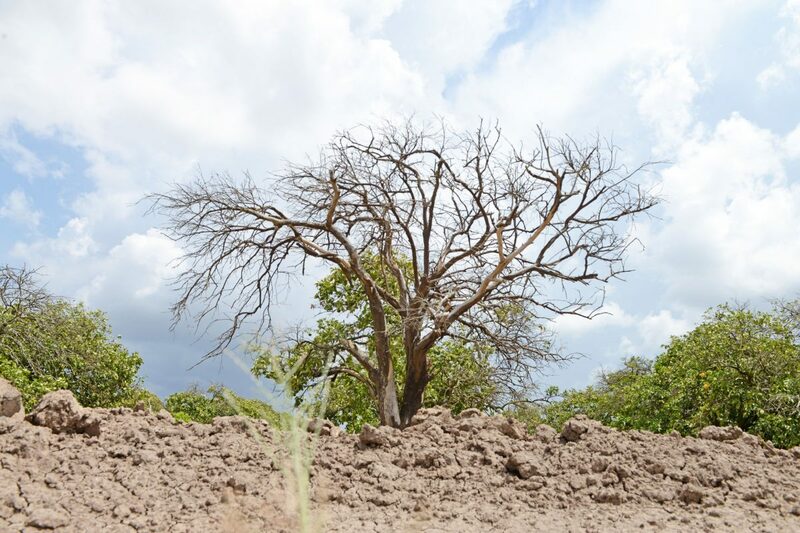 A leafless citrus tree is seen in Brownsville after weeks without any significant rainfall. The latest U.S. drought map released by the United States Drought Monitor proves it’s not your imagination: It hasn’t rained much lately. Though Cameron County is certainly dry, it could be drier, according to USDM, a joint project of the National Oceanic and Atmospheric Administration, the Department of Agriculture and the University of Nebraska-Lincoln’s National Drought Mitigation Center. The updated map, released June 7, shows moderate drought conditions for roughly the lower half of the county and “severe” conditions for the upper half, along with all of Willacy County and a slice of Kenedy County. Residents in western Hidalgo County are slightly wetter, with merely “abnormally dry” conditions according to the map. Eastern Hidalgo County shares Cameron County’s moderate conditions, and most of Starr County has no drought conditions, USDM says. Much of the state’s midsection isn’t experiencing drought at all, or is in the “abnormally dry” category, otherwise known as D0, the last stop before drought proper. 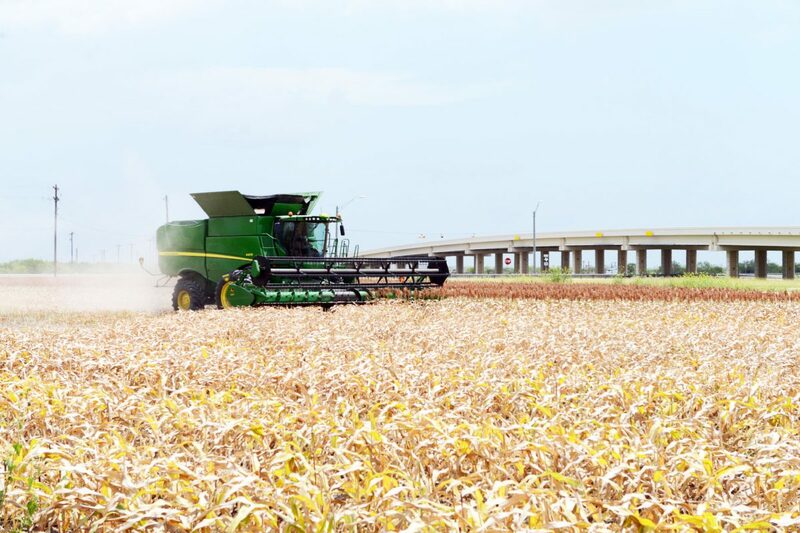 A farmer rolls along in a John Deere tractor as he harvest sorghum in Brownsville Thursday. Right now, for real drought you’d have to go to the panhandle, much of which is designated “extreme” or “exceptional,” D3 and D4, respectively. But the first day of summer is two weeks away, and Texas is hot and dry in the summer. Mike Castillo, senior meteorologist with the National Weather Service station in Brownsville, noted that the Valley is no stranger to extreme and exceptional drought, recalling the rainless years between 2010 and 2015, which took a huge toll on crops, reservoirs, infrastructure and people. “I don’t enjoy having to start talking about those impacts,” he said. The last rainfall of any note in Brownsville this year was on May 21, where some areas received an 1/8 of an inch, Castillo said. Normally in the summer, the only hope for substantial relief is a tropical system to come through and dump some moisture, though you’ve got to be careful what you wish for, Hurricane Harvey being a prime example, he said. How dry of a summer and beyond the Valley experiences will depend, as always, on which way the El Niño Southern Oscillation (ENSO) breaks, which depends on the temperature of the Pacific Ocean, Castillo said. High water surface temperatures in the Equatorial Pacific lead to El Niño, which generally means a less active Atlantic hurricane season and drier, hotter summers and wetter, colder winters for the Valley, he said. When the Pacific is abnormally cold, La Niña results, producing the opposite effect of El Niño, Castillo said. ENSO may also remain in neutral, which is where it is now, he said. Computer models point to a possible slide toward El Niño toward the end of summer and especially into winter, though it’s hard to tell at this point, Castillo said. ENSO can defy even the most sophisticated models in terms of which way it will flip and to what degree, he said. For the time being, Castillo suggests keeping one’s fingers crossed for more of the conditions that produced rainfall in parts of the LowerValley on Thursday, thanks to a persistent high-pressure ridge shifting far enough west to allow more moisture to ride in on the Gulf breeze.